The "simple stuff" presents conventions for formatting and presentation of written work. The SS items for handwritten work are matters of common sense; the conventions for typed work outlined below follow MLA-style formatting for formal essays. On graded assignments, I note "simple stuff" problems as SSM, SSH, SSLP, etc. The MLA (Modern Language Association) is the authoritative organization for scholars in language and literature. The MLA guidelines for formatting (and for citation and documentation) are the industry standard: they apply in most college English classes, in many other courses in the humanities, and in scores of scholarly journals and other publications. Parenthetical references below are keyed to the MLA Handbook for Writers of Research Papers, 7th ed., by Joseph Gibaldi (abbreviated below throughout as MLA HWRP). SSP ("P" for "paper"): Formal essays written outside of class must be typed or printed via word processor in black ink, on white paper of copier-grade quality or better (20 lb. bond minimum) (MLA HWRP 4.6). SSD ("D" for "double spacing"): Double space typed papers throughout their entirety, from your name at the top of the first page to the last line of text (block quotes included). Works cited pages are double-spaced as wellsee Q5ds (MLA HWRP 4.2). SSM (margins): one inch margins above, beneath, and on both sides of the text (excluding page number headers, which should be one-half inch from the top margin) (MLA HWRP 4.1). Note that some versions of Microsoft Word default left and right margins to 1.25 inches, so you may need to change the margin settings in blank Word documents. In Word 2007 or newer: Select the "Page Layout" tab, then select "Margins" and choose the option labeled "Normal," with one-inch margins on all four sides. In versions of Word before 2007: Click "File," select "Page Setup," then "margins": enter the number 1 as needed in the "top," "bottom," "left," and "right" boxes. SSF (font): Use only standard Times or Arial fonts. Avoid exotic, fancy, or "cute" fonts in formal writing. Aside from sometimes being more difficult to read, exotic fonts can suggest whimsy or frivolity on your partnot signals you should send your reader. Use the same font (and font size) for the entire document: the title, the text, block quotes, headers, works cited entries, etc. SSFS (font size): Use only 12 point font size. Text in smaller fonts can be hard to read; essays in larger fonts can look like kindergarten work. Even when it is not the case, essays in font sizes larger than 12 point (and/or with wider margins than normal) can make it appear that you realized the paper was short and tried to hide it. Your professors are not dummies! And you don't want them ever to think of you as "sly" in covering up shortcomings in your work (MLA HWRP 4.2). SSJ (justification): Align or "justify" the text only on the left margin. Do not use "full justification" so that both margins are straight, as in newspaper columns, e.g. (MLA HWRP 4.2). The arrow below points to the "left justify" button. 4) date paper is turned in (MLA HWRP 4.3). SST (title/title page): Titles are mandatory, title pages are unnecessary. Some professors prefer title pages for formal papers and other printed work, but MLA guidelines dictate that there should be no title page. Ask professors who don't specify if they do expect title pages. Titles: You should give each formal essay its own unique title. "Paper 3" or "Essay One" is not an actual title. The original title of a literary work is that work's title and should not be used as the title of your essay. If you submit a paper entitled "Frankenstein," your professor might say, "That title is Mary Shelley'swhere's yours?" Also note that titles should not be followed by periods. As stated in the Harbrace College Handbook, Revised 13th ed, "A good title fits the subject and tone of an essay. The title is the reader's first impression and, like the introduction, should fit the subject and tone of the paper. Sometimes the title announces the subject simply and directly: 'Grant and Lee' or 'Civil Disobedience.' Often a title uses alliteration to reflect the writer's humorous approach, as in "A Pepsi Person in the Perrier Generation,' or a twisted cliché, as in 'The Right Wrong Stuff.' A good title may also arouse the reader's curiosity by asking a question, as does 'Who Killed the Bog Men of Denmark? And Why?'" (360). Except for brief questions, titles should not generally be complete sentences, but instead should be brief phrases, as in "Gender Roles Gone Awry" or "Cell-Phone Hell"
SSTP (title position): Center your title, double-spaced immediately beneath the datethere should be no extra spaces between date (SSN) and title, or between the title and the text of your paper. As noted above (SSD), the entire paper should be uniformly double-spaced from your name at the top of page one to the end of the document (MLA HWRP 4.3). SSTF (title font): Use the same font and font size for the title and the text of the essay; do not underline your title, do not put it in quotation marks, do not type it in all capital letters, do not make it bold or italicized (MLA HWRP 4.3). SSI (indention): Use the <Tab> key to indent the first line of each paragraph one-half inch from the left margin. Make indentions uniform throughout the essay (MLA HWRP 4.1). SSH (header): At the top right corner of each page, including the first page and Works Cited pages, put your last name, one typed space (and no more), and the page number in a "header." Headers should be one-half inch from the top of the page and aligned hard (flush) on the right margin (MLA HWRP 4.4). Do not "tab" over to the right side of the page or use the space bar you will save time and trouble in the long run by learning to create proper headers with the alignment justified "hard right" (see instructions below). Headers should not include the word "page" or the abbreviation "p.," nor should there be a comma, dash, hyphen, bracket, or any other typographical symbol before or after the page number. Headers written by hand on typed work are unacceptable. For instructions on creating and modifying headers in Microsoft Word, see below. To add or edit a header, double-click in any space at the very top of the page (within one inch from the top edge of the page on-screen). A dotted line should appear with the word "header" in a tab near the left margin (see arrow in the image below). To align the header hard on the right margin: with the cursor in the header box (i.e. above the dotted line), press the control (<Ctrl>) and "r" keys simultaneously, and the flashing cursor should now be hard at the right margin of the page. Type your last name followed by a single typed space and no punctuation, then select the "Insert" tab at the top of the Word toolbars menu, then locate the "Header and Footer" section of the toolbar that now appears and click "page number"; select "Current Position" (where you last left the cursor, one space to the right of your last name), then choose the "Plain Number" option (the first one displayed). To change header font and font size so that they match the body text of your essay, still in the header view mode (with the dotted line containing the "header" tab), press the control (<Ctrl>) and "a" keys together to select all the text in the header box, then right-click and change the font and size values as needed. To make other header changes, such as distance from top of page (should be a half inch), click the green "Header and Footer Tools" tab on the top row of the MS Word toolbar menu for a number of more specific header design options. Double-click anywhere below the dotted line to return to the body of the document, and the header should now appear slightly faded, in gray. To add or edit a header, select the "Insert" tab, then select "Header" from the "Header and Footer" menu. Choose "Blank" (the first option displayed). To align the header hard on the right margin: with the cursor in the header box, right-click the mouse, select "Paragraph," at the "alignment" prompt select "Right" (the first box displayed), click <OK>. After you have chosen "right alignment," click where it reads "<typed text>" and then type your last name followed by a single typed space and no punctuation, then click "Page #" in the "Header and Footer" menu in the toolbar at the top of the page, select "Current Position," then select "Plain #" (the first option). Be sure to check that there is still a single typed space between your last name and the page number. To change header font and font size so that they match the body text of your essay, press the control (<Ctrl>) and "a" keys together to select all the text in the header, then right-click and select "Font," and change the font and size values as needed. To add or edit a header in Word, click "View," then "Header and Footer." Type your last name, followed by a single typed space and no punctuation, then click the "Insert Page Number" button on the header and footer toolbarit's the one with the # symbol, only, on the page, not the one with the hand at the corner of the page with the # symbol. 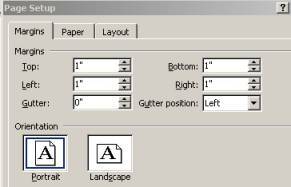 If you have created the header correctly, the page numbers on your paper will change automatically when it is printed. You need to insert a header only once for an entire document, not once for each page. To change header font and font size so that they match the body text of your essay, press the control (<Ctrl>) and "a" keys together to select all the text in the header box, then right-click the mouse, select "Font," and change the font and size values as needed. If you're using a Mac and can't "right-click," click "Format" on the menu at the top of the screen, then "Font," etc. Click "Close" on the header and footer toolbar. SSHF (header font): Make headers, including both your last name and the page number, the same font and font size as the text of the essay. See instructions for creating and modifying headers above. Works cited note: There's no reason in a paper shorter than 30 pages to create or save your works cited page in a separate file from that in which the text of the paper is saved. If, however, you do make the works cited page a separate document, you will need to change the page number formatting in the header for the works cited page. Go through the necessary steps above separately for the works cited page, but in Word 2007 or newer, also click the "Page Number" button, select "Format Page Numbers," then select "Start at" and enter the appropriate page number in the box and click "OK"; or in versions of Word before 2007, click the "Format Page Number" button on the Header and Footer toolbarit's the one with the # symbol and the hand at the top of the pagethen under "Page numbering," select "Start at" and enter the appropriate page number in the box. Page break tip: To set a page break after the text of your essay so that the works cited page automatically begins on a separate page, press the control (<Ctrl>) and enter keys simultaneously. For reference, see this correctly formatted sample MS Word document. SSLPN ("longhand" and "page number"): Put your last name and the page number in the upper right corner of all pages after the first. SSFE ("frayed edges"): Avoid turning in work on pages with frayed or tattered edgesi.e. pages ripped from a spiral notebook (without fine perforations). Turning in work on pages with frayed edges is like going to court in clothes spotted with stains and riddled with holes. In court you hope the judge or jury will hear your side of the story impartially no matter how you dress. Invariably, though, defendants with common sense wear nice clothes in court, dresses or coats and ties even, no matter how obvious their guilt or innocence. All work you submit to your professors is "judged," too, including assignments that are not given grades, so you should always "look your best" even if you're guilty of missing a day's reading or screwing up a lab experiment. SSLI ("longhand" and "ink"): Unless instructed otherwise, use only pencil or blue or black ink on all handwritten assignments. Pink, purple, lime green, and aqua are beautiful colors, and sparkly, glittery ink is truly nifty. But all your academic work should reflect professionalism even in the smallest details, such as ink color. Use the cool-colored ink for taking notes, but stick to the basic black, blue, or pencil for work you turn in. Express your individuality in the substance of your written work, not in its visual presentation. SSLP ("longhand" and "paper"): Use only standard 8.5x11-inch notebook paper. Turn in handwritten assignments only on standard sized notebook paper. Legal-size paper and paper smaller than 8.5x11 inches can be difficult to file or paper clip with "normal" sized pages, and smaller pages can fall out of stacks of papers just like subscription cards in magazines. Your work should stand out from the rest of the stack in substance and quality, not literally by separating itself from the others on your professor's office floor! Your work should speak for itselfin its quality. If you write a brilliant essay, it shouldn't matter if you pen it in purple ink on tattered paper that measures four inches by six. And in most cases, your work will indeed be judged on its merits and not by its presentation. But each and every assignment you turn in should reflect your professionalism in every detail. If you are the kind of person who would bathe, shave, fix your hair, and dress nicely for an important job interview, you should attend to the details and make sure that all of your academic work is similarly clean and spiffy before you turn it in. You care deeply about each and every scrap of your college work, right? Even if you don't, it's never a good idea to send your professors even mildly negative signals, however subtle, about you or your work.